Regularly inspect for cuts in the paw. Paws can get cut from accidentally walking over glass or other sharp materials. Small cuts can be treated at home with antibacterial wash while deeper cuts may require veterinary assistance. In either apply first aid immediately to prevent infection. Trim the nails. Long nails start to feel uncomfortable to the dog after a while and may hinder them while they walk. Nails should just touch the ground when the dog walks and shouldn’t be kept longer than that. Be considerate of where your dog walks. Salt covered roads in the winter or scorching pavement in the summer can both be painful for your dog. Take them down paths that avoid such painful obstacles or get them little shoes to provide a barrier against harmful surfaces. Extra care during winter. Wintertime not only dries their paws with the cold and dryness, but harmful chemicals and erosive salt may also hurt their paws. Furthermore, these can be ingested by the dog when it licks its paws, so it is important to wash their paws after being outside. Moisturize and clean. 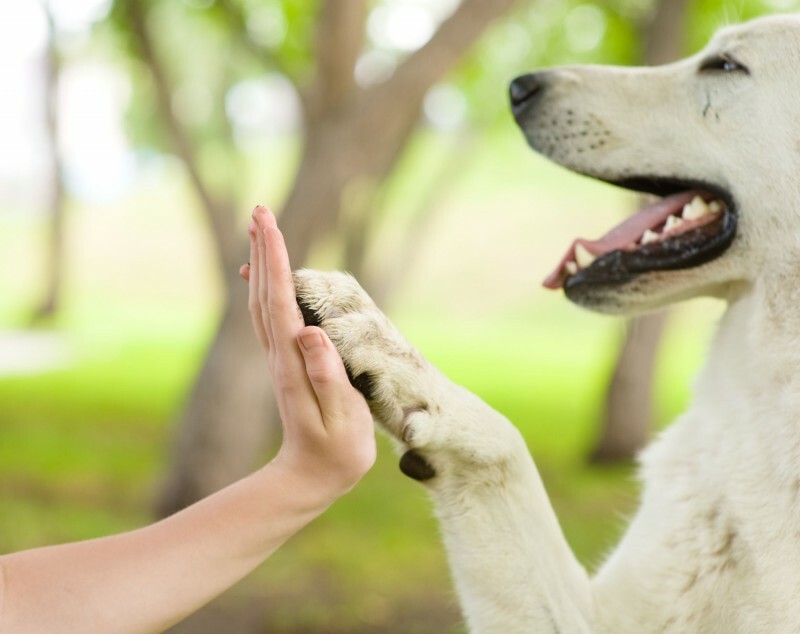 Paws can become dry and cracked so make sure to moisturize if your dog needs it. Additionally, debris can get lodged in the nails or between toes making it painful or uncomfortable for your dog to walk. If you notice discomfort check the paws, and preform cleaning regularly.